On August 21, 2013, Filipinos will commemorate the 30th death anniversary of a simple and humble Senator who happen to be the father of our current President Benigno Simeon Cojuangco Aquino III or who is known commonly as Noynoy Aquino or PNoy. This late Senator Benigno Simeon "Ninoy" Aquino, Jr has declared a phrase that sparked Filipinos all over the country to a People Power Movement and gave us freedom from the Marcos dictatorial regime. What was the phrase he mentioned? It's "the Filipino is worth dying for." 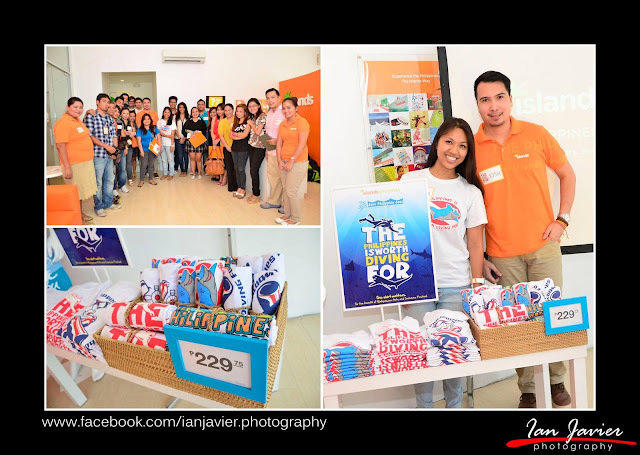 Hoping not for a mass movement but unity of Envinronmentalists and other simple individual, The Island Group (TIG) and Save the Philippine Seas (SPS) partnered for an environmental campaign dubbed as "The Philippines is worth diving for." This tie-up campaign is centered on the conservation, protection, and restoration of our marine biodiversity. 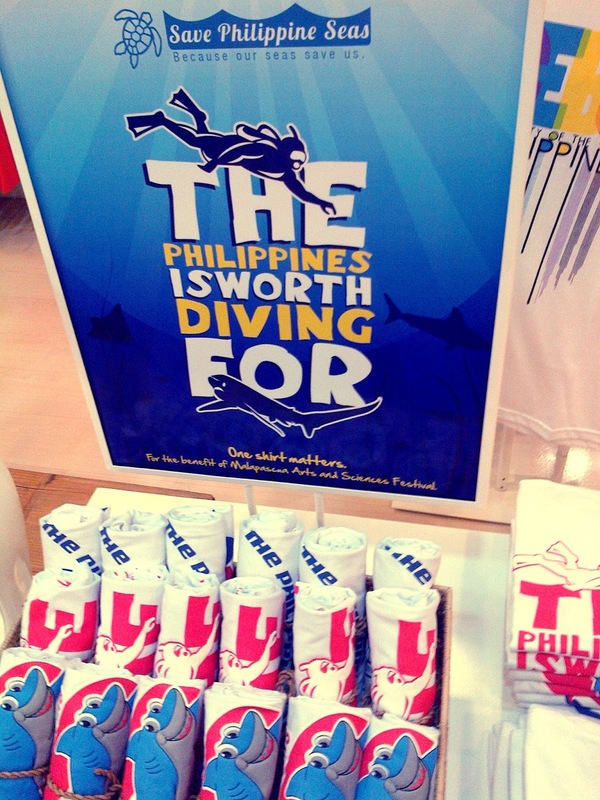 "The Philippines is worth diving for" is a new collection of Island Souvenirs on which percentage of the proceeds of this campaign will go to SPS to fund the Malapascua Arts and Science Festival, a community project organized by SPS and that uses creative forms of learning with the end view of promoting environmental protection and appreciation of nature outside the four walls of a standard classroom. "By purchasing a shirt, you are supporting an education project for the youth of Cebu. This will contribute to ensuring the sustainability of our resources for present and future generations," Anna Oposa, Founder of SPS said. 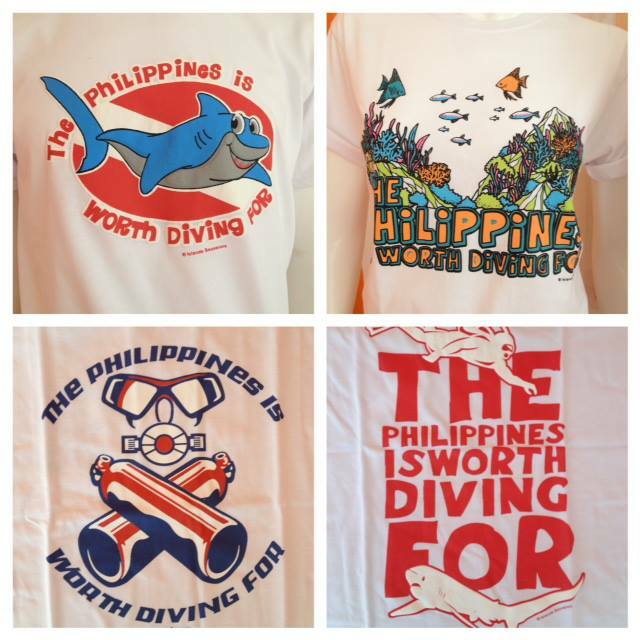 "The Philippines is worth diving for" shirts are available in four different designs in three sizes (S, M, L). These will be sold at the Seatizen's Festival on September 15, 2013 at the Ninoy Aquino Parks and Wildlife Center. "Part of organization's values is built and anchored on community. We understand that we only have one planet, and as stewards, we need to do our share - individually or collectively," said Josh Eballe, Corporate Communications Group Head of TIG. Now, how can you share? 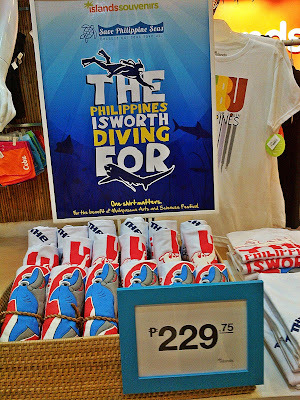 Buy this t-shirt and save the Philippine Seas! Check this Official Facebook Page of Save the Philippine Seas (SPS) to know more about the organization.